There are several ways of communication, however, these are considered volatiles, i.e. passed from people to people, there is the risk of having changed meaning and significance. But the writing stays intact and that’s why comes the need of the written record of languages, even of sign languages. Several tools exists to provide support for the written record of sign languages, however which are not used by these communities, especially the Brazilian. 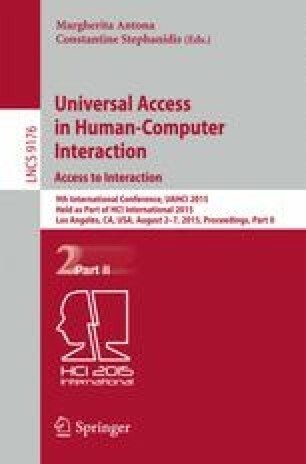 This paper supported in the HCI literature, has the objective point out the reasons from no or low use of these tools by an analytical inspection. We would like to thank the students and teachers that collaborated to this research. This work is funded by Coordenação de Aperfeiçoamento de Pessoal de Nível Superior - CAPES and Fundação Araucária.